Our schools teach the fundamentals we all love; reading, writing, math, science and history. What concerns me is our school system lacks some of the ‘street smart’ skills that kids will need to be those successful leaders, healers and entrepreneurs. As parents, we must take teach our children ‘money smarts’. Can you imagine how empowered you would be if your parents taught you how to balance a checkbook, invest in the stock market, manage credit card debt, start a business, or the power of compounding interest? If you were one of the lucky few whose parents did teach you money skills, consider yourself blessed. The present economic situation is a perfect time to teach our kids the importance of money management and the need to respect money for what it is, and isn’t. So, where do we start? With the basics. 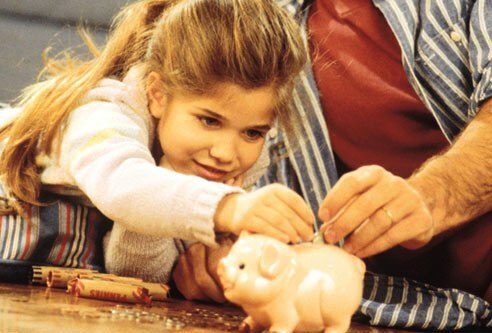 Depending upon your child’s age, you can start with talking about money. Most of us don’t discuss the family’s financial situation at the dinner table. I propose you do. I think it’s important that children understand what is happening, good or bad, with the money being earned. Don’t get me wrong here; I’m not suggesting you tell your kids your annual income or the balance of your investment portfolio. What I am suggesting is to bring the kids into conversations regarding ways to save, creative ways to earn additional money and what to spend that money on. Involve them with decisions on vacations, donating to a charity or cause, or how they plan to buy their first car. From middle schools to teens, open a savings account and teach them the importance of monthly deposits, regardless of the amount. Create in them the healthy habit of making that deposit every single month. Compounding interest and time are on their side and simple, small deposits made regularly add up to huge money later. Did you know that $4 a day, 5 days a week invested at 10 percent (historically, the average in the stock market) turns into $1.3 Million in 50 years. Introduce the concept of a budget, although I don’t care for that word. (Like a diet, it implies I have to give up something). It is about compromise and being aware of where the money goes, so rather, suggest this: what is priority, given the income? Teach them to live within their means and the dangers of credit. If our kids can understand this now and realize the consequences if they don’t, it will make for a peaceful and prosperous future. As parents, we know there isn’t anything we want more in life than to see our children healthy, happy and at peace. Need Some Ideas When It Comes To Giving Gifts? Schools should teach Money 101 to kids and not leave it to the University of Hard Knocks. I agree with you Robin. I loved your post. Actually we all fall in financial problem sometimes in our life. So we must teach our siblings to fight with that also. When I marry, I’ll definitely teach my kids how to use money smartly. In this way they will know the importance of money from the very beginning. Teaching children and teenagers should definitely be taught about money. Why do we push history and math on them, yet they have no way of knowing how to manage their money? Having a slick budget and watching what you spend would help alot of places out this year for sure. Thanks for posting this. Teach kids the basics of basics and they will master the keys things over time. Hello all! I like this forum, i set up tons interesting people on this forum.!! !